The crisis in Greece has slipped from the front pages as others, even more urgent, force themselves on Europe’s consciousness. The desperate seek refuge here from war, often dying in their flight; their enemies follow with everyone in their sights. But while we struggle with these new realities, the old ones remain. The consequences of the 2008 financial crisis continue years after the event, and nowhere is this clearer, and harsher, than in Greece. 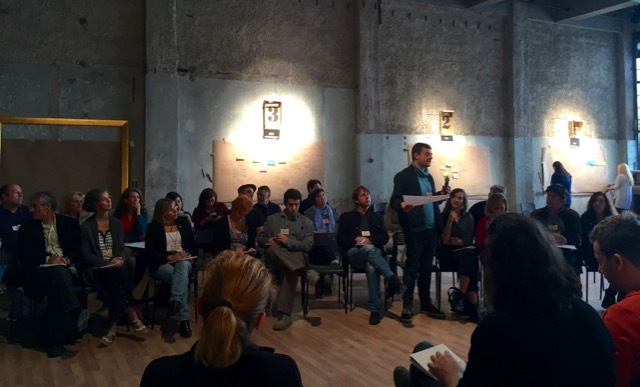 Last Friday, under the auspices of Culture Action Europe, Agenda 21 for Culture and the British Council, a number or Greek artists and cultural actors met in Athens. They came to talk about mutuality, civil society and what place art and culture might have in the life of the city. That it took months of discussion to get this far is one sign of how much damage has been done over the past seven years. When there is no money for pensions, what will be left for culture? The artists I met in Greece work for nothing, subsidising their creative activity with other jobs: one spoke of getting €235 for six weeks of rehearsal and performance. People share their parents’ pensions and work seven days a week without knowing if they can meet their bills each month. Artists, Greek friends, taxi drivers – everyone I spoke to faced the same problems and had been doing so for years. The consequence is a palpable sense of exhaustion, fear and mistrust. Athens, I was told, is emptying as those who can leave in hope of finding something better elsewhere. Despite this grim context, the meeting, to which I’d been invited to offer an external reflection, was one of the most constructive and enjoyable I’ve taken part in. Called Kathréptis (‘mirror’ in Greek) it asked if culture could play a role in helping civil society respond to the difficulties it was going through. The debate avoided the easy ground of culture’s value or the need to engage people; nor did I hear anyone talking up their own projects. Instead people grappled with how to build trust and find new approaches to the deep and complex problems everyone knew. The atmosphere was intense and thoughtful, but also cautiously positive. In individual conversations, I began to learn about some of the rich work being done with communities, despite lack of funds or institutional support. 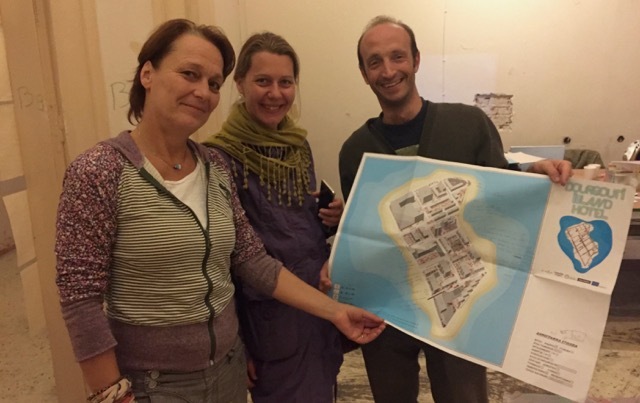 The next day I visited Urban Dig, in their temporary home at the old Bageion Hotel for the Athens Biennale. This group of artists, architects, engineers and activists has changed its work profoundly as a consequence of the crisis, energised by new ways of working with community groups. Elsewhere in the building, people were discussing alternative economies, urbanism, art and politics between the exhibits and installations. Later, I came across a project that is challenging negative images of Greece and mapping grassroots activism in the country, including health, human rights and education groups: among them are 76 arts and culture projects. This glimpse of art and community activism in a society under pressure was humbling. 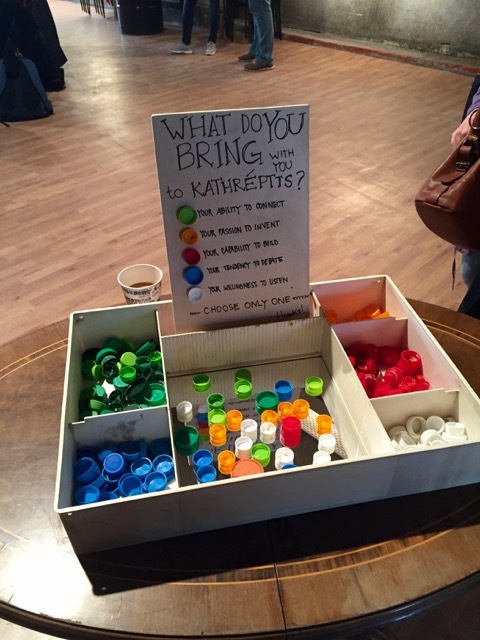 If it gave me a lot to think about, it also showed me, once again, how valuable participatory/community art can be, even in – especially in – difficult situations. Below is a short video trailer for Urban Dig’s Dourgouti Island Hotel Project that offers another glimpse of that. Whose story is this a chapter of?